If you're a Twitter user, check out Just Tweet It. It's essentially a directory of Twitter users, broken out by categories and industries. They range from PR/Marketing to Sports, Web Developers to Environmentalists. If you're new to Twitter, this isn't a bad way to explore other user profiles to see whom you might want to follow. If you're already a user, this is another place to find some interesting connections. If you're looking to do a little promotion, submit your Twitter feed through the website. 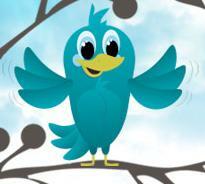 You'll be included in the directory and get a chance to be in their "Featured Tweeter" section.